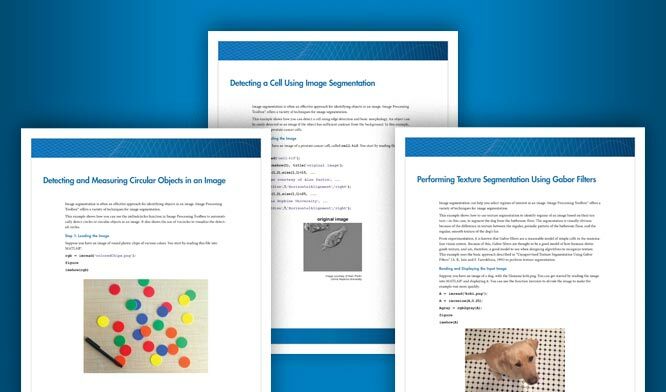 This example shows how to use Wiener deconvolution to deblur images. Wiener deconvolution can be useful when the point-spread function and noise level are either known or estimated. Simulate a blurred image that you might get from camera motion. Create a point-spread function, PSF, corresponding to the linear motion across 21 pixels (LEN=21), at an angle of 11 degrees (THETA=11). To simulate the blur, convolve the filter with the image using imfilter. The simplest syntax for deconvwnr is deconvwnr(A, PSF, NSR), where A is the blurred image, PSF is the point-spread function, and NSR is the noise-power-to-signal-power ratio. 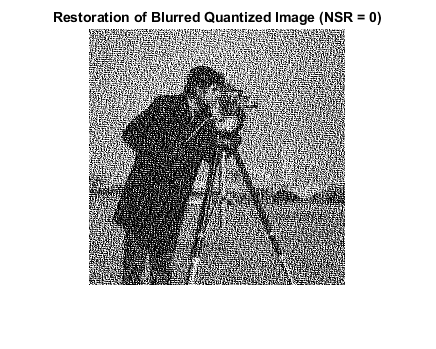 The blurred image formed in Step 2 has no noise, so we'll use 0 for NSR. Now let's try adding noise. The noise was amplified by the inverse filter to such a degree that only the barest hint of the man's shape is visible. In our second attempt we supply an estimate of the noise-power-to-signal-power ratio. 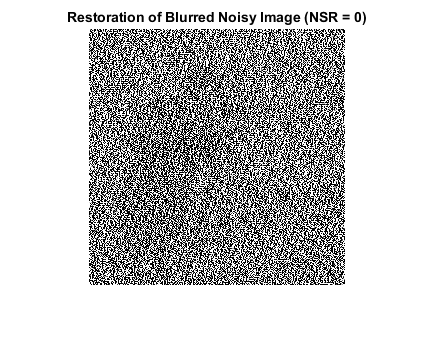 Even a visually imperceptible amount of noise can affect the result. Let's try keeping the input image in uint8 representation instead of converting it to double. 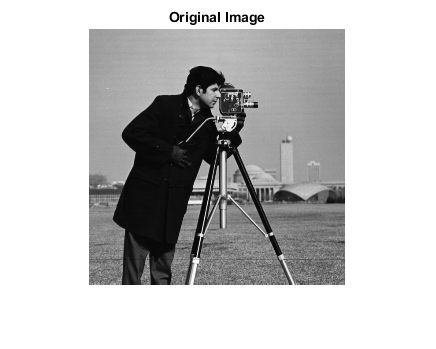 If you pass a uint8 image to imfilter, it will quantize the output in order to return another uint8 image. Again, we'll try first telling deconvwnr that there is no noise. Next, we supply an NSR estimate to deconvwnr.